Branch is committed to spurring innovation and creativity. So what could be a better project than providing innovative spaces for entrepreneurs in the new Innovation Center in the heart of Chattanooga's Innovation District? 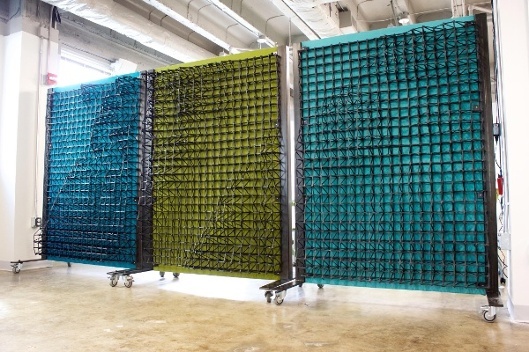 The 100 square foot movable panel system features the topology of Southern Tennessee and encourages the innovators of the future to challenge all conventions, even the space they work in. While we are working to get our interior wall products tested and certified to meet building code requirements, we have been busy on products that highlight the power of freeform 3D printing and the beauty that can be created by the 3D printed scaffolds. Following our exhibition structure at the Museum of Design in Atlanta (MODA) - the tallest 3D printed structure in the Americas - we wanted to make something that could help inspire fellow entrepreneurs in our area. The new Innovation Center in Chattanooga seemed like the perfect opportunity. Our prints serve as the basis for three movable partition walls that will be used in the Center to create dynamic spaces, allowing flexible options for teams developing transcendent ideas. The Innovation Center is set to be a beacon of creativity in Southern Tennessee, so it seemed fitting to use the geography of the region as the basis for the topology. 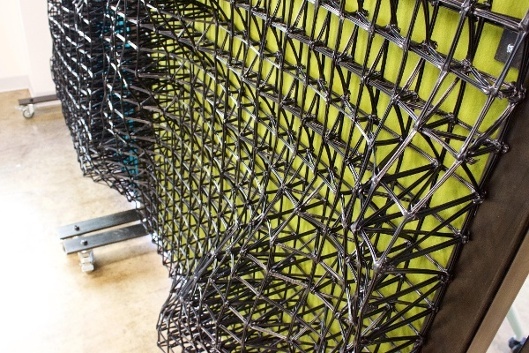 The topology gave us a chance to show how complete customization at scale can be unlocked through our unique printing process, while being inspired by the beauty of nature's creations. The panels debuted at Chattanooga Startup Week, 12-16 October. It's our belief that the spaces in which we live and work should reflect our personalities and inspire us to great and world-changing pursuits. These wall panels are a small step in that direction, but we hope it made you think about what may be possible in your own lives. If these particular designs resonate with you and you are interested in something along the same lines, let us know!